While both geisha and oiran were absolutely considered ‘women of pleasure’ or entertainers, these were the women who strictly marketed prostitution. The geisha’s role as a courtesan or prostitute is often misconstrued. While it certainly did happen, geisha were not ‘legally’ able to provide sexual services as it took away from the business of the oiran. 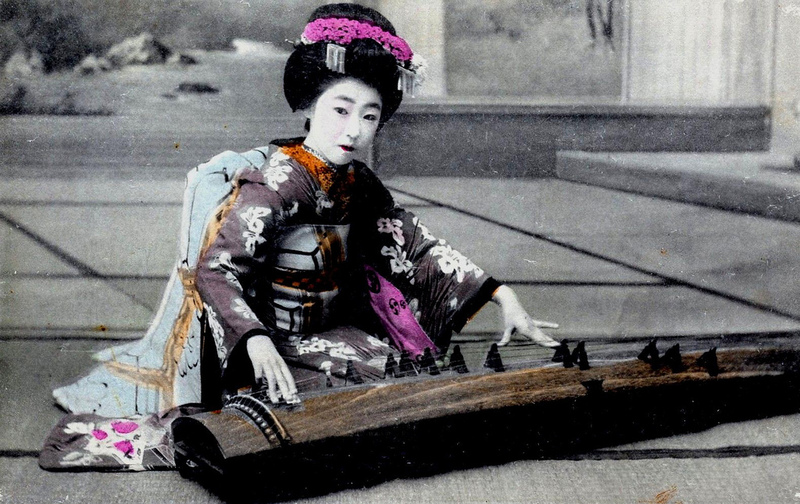 Geisha were to play instruments, games, and dance among many other talents that might entertain men; however prostitution was not in the job description. One could begin their life as a geisha and climb the professional ladder to oiran, if they were very ambitious and lucky. Oiran were the highest paid women in the pleasure districts and possibly Japan as a whole. It was a very coveted position, and one not easily obtained. The heavy competition and ruthless nature of the profession was not for the faint hearted. Oddly enough a really great film about this, based off of a manga/comic book, is Sakuran. (Side note: sakuran means confusion, but also elicits the word sakura or cherry blossom, thinking about that in the context we’ve already discussed the cherry blossom is more compelling!) It’s a beautiful movie, and does a better job at showing the realities of the pleasure district than something like Memoirs of a Geisha. To be clear, the story of the knight in shining armour coming to save these women from their difficult lives was entirely fiction. Regardless of the sad stories usually attached to these women, their paths varied greatly depending on where they were working and in what capacity. This is only the briefest of overviews on the women in the pleasure district and we can dissect it more in the future. For future clarity, let’s look at the visual distinguishing factors between the geisha and an oiran. One difference is the obi, or sash around the midsection, is traditionally tied in the back. 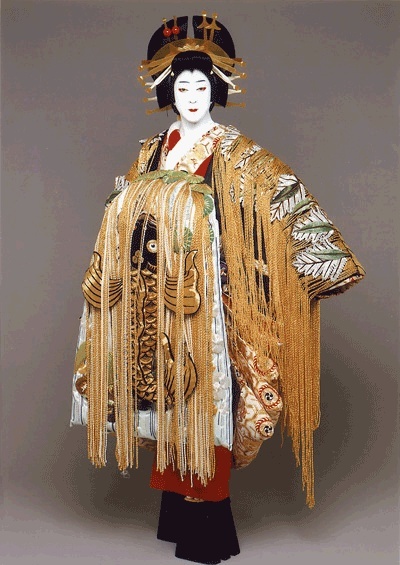 For an oiran, you would find this secured in the front instead. Also the hair ornamentation is much more elaborate, often with many pins running down the sides of the hairstyle. Lastly – the shoes. The shoes truly reflect their status and could reach incredible heights. No matter how you slice it, these women were fierce and the toughest ladies on the block! It is also important to note that prostitution has been illegal in Japan since 1956, loopholes in that legislature not withstanding….